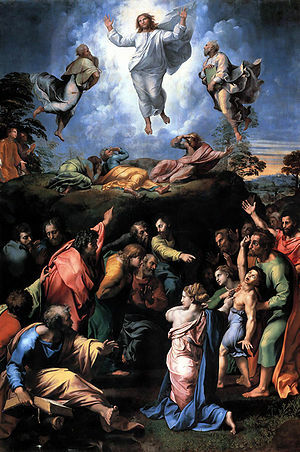 Archbishop Fulton Sheen reflecting on this Gospel passage from the Transfiguration – proclaimed to us today, once asked, “How does one pour divinity into a clay and not see it shine through?” Did our Lord conceal His divinity? Were our eyes and hearts too callous to see His glory? Had we grown so weary and tired in the day-to-day grind of our lives that our sensitivity to the divine just fell asleep? The gospel doesn’t say but what we do know is that suddenly, reality flashed and revealed itself. This quickening of their hearts allowed Peter, James and John to see the Glory of the Lord. To summarize, prudence awakens our minds to see reality and then act. During an age of masquerades and apparent truths, this virtue is needed more than ever. We only need to consider how the womb has become a tomb. The very place meant to be a wellspring of life, a hedge of safety, and a state of communion has now become Auschwitz, a row of execution, and an imposed solitary confinement. The value of the Virtue of Prudence cannot be underestimated. Without the ability to see reality our intellect cannot properly inform the will to choose the good. Without the ability to see reality the intellect cannot perceive that which is true. Without the ability to see reality the intellect cannot assist the senses experience the beautiful. The Virtue of Prudence vivified by charity brings life out of analogue black and white and into an HD world – we are truly alive. How do we allow the Lord to awaken us to reality and strengthen the virtue of prudence? We first need to cultivate a life of prayer and trust in the Magisterium of the Church. Only then can we commit ourselves to the discipline of study and like Mary, sit at the feet of the Lord. Lord, may our Lenten practices awaken us to see your glory as you reveal it in Paschal Mystery.